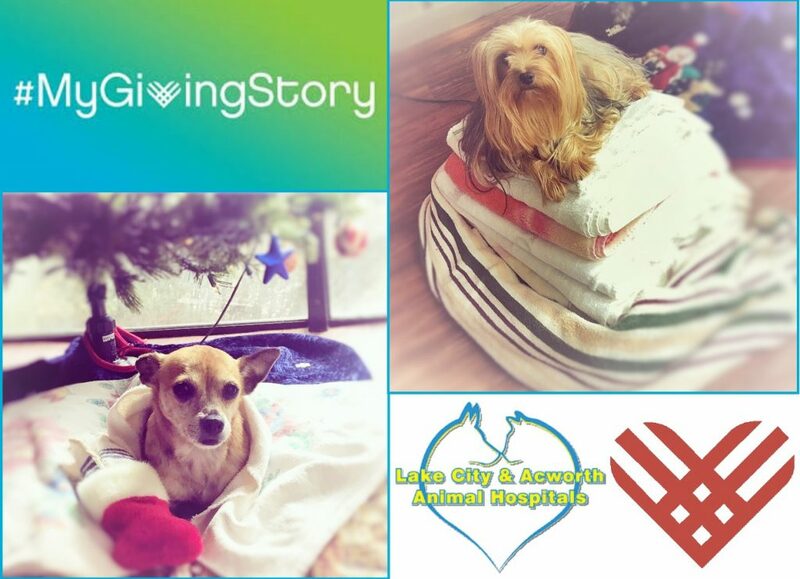 We would like to thank all who participated in our first #GivingTuesday Campaign. 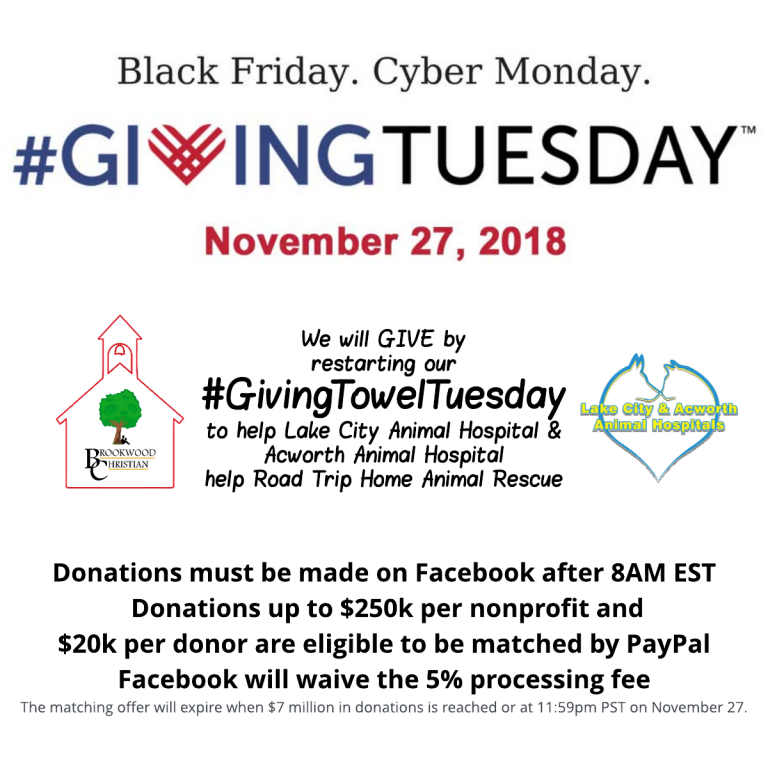 We collected 70 towels to take to Lake City & Acworth Animal Hospitals (one of our biggest supporters) to use for their Road Trip Home Animal Rescue support. We also raised $1,870 from the Facebook #GivingTuesday donation campaign. Unfortunately, we weren’t fast enough to receive any of the matching funds, but the donations are well appreciated regardless! Facebook Donors ~ THANK YOU! TODAY ONLY Facebook and the Bill & Melinda Gates Foundation will be matching up to $2 million of funds raised on Facebook for US nonprofits. 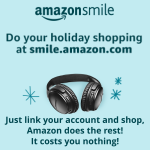 CLICK HERE to donate using the donate button at the top of our page. Whether you have $10, $100, or $1000 to give, it all adds up! Especially when being matched! This is also a great way to maximize an end of year tax deduction. 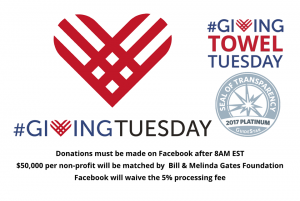 * Share information about #GivingTuesday on your social media accounts. * Send an email challenging your co-workers, family and/or friends to give up the money they would spend on coffee and make a donation to Brookwood Christian! You could do the same with giving up lunch or dinner out. Stay home and play board games with your family instead of going to the movies, etc. 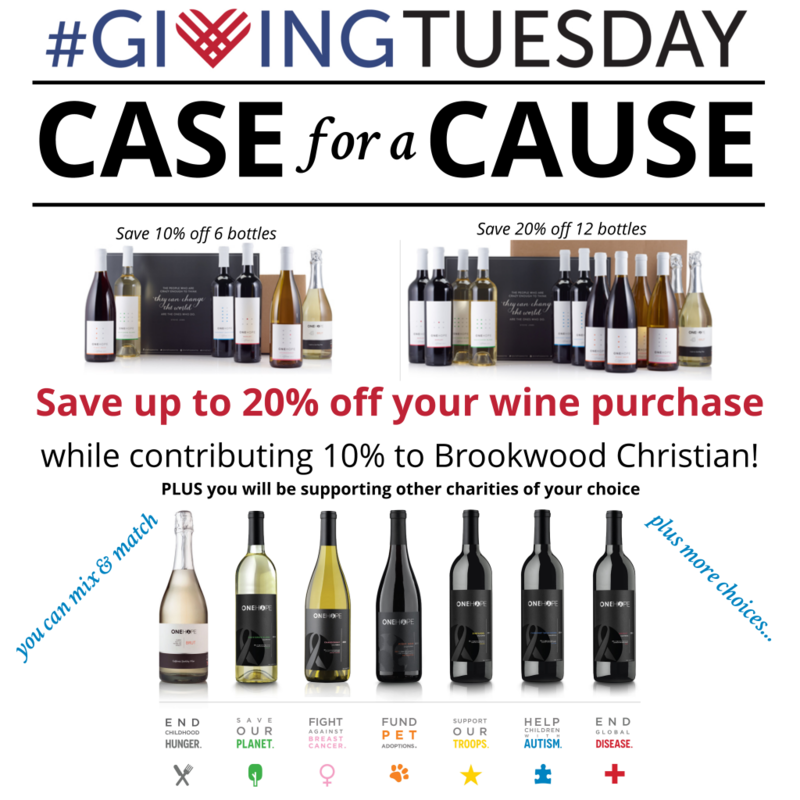 * Email your families, friends & contacts an email to encourage giving to Brookwood Christian. 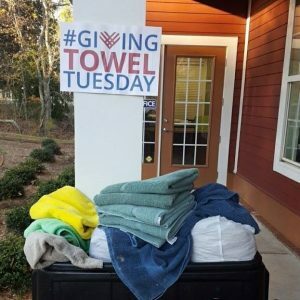 And don’t forget to bring you gently used towels and blankets for our #GivingTowelTuesday!